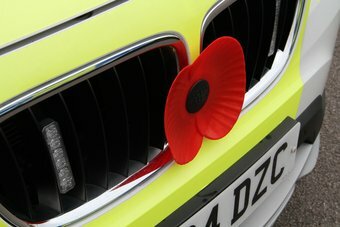 Leicestershire police is marking the centenary of the First World War during a Remembrance Day memorial event at Force Headquarters on Friday 9 November 2018. Surviving family members of serving Leicestershire police officers who lost their lives while on duty during the first and second world wars are being invited to attend the event as guests of Leicestershire police. The Force are trying to trace descendants of 21 officers from the city, county and Rutland that died as a result of the war. Chief Constable Simon Cole, Deputy Chief Constable Rob Nixon, Assistant Chief Constable Julia Debenham, police officers and staff will also be in attendance to pay their respects. Mr Cole comments: “It is important to the force to mark the centenary commemorations. We hold a gathering every year in our memorial garden to commemorate Remembrance Day but there is a different significance this year.